Step back in time at The Historic Powhatan Resort, located on 256 acres of rolling woodland hills in historic Williamsburg, Virginia. The resort features a distinguished manor house that was originally built in 1735 and captures the true essence of its Colonial surroundings. 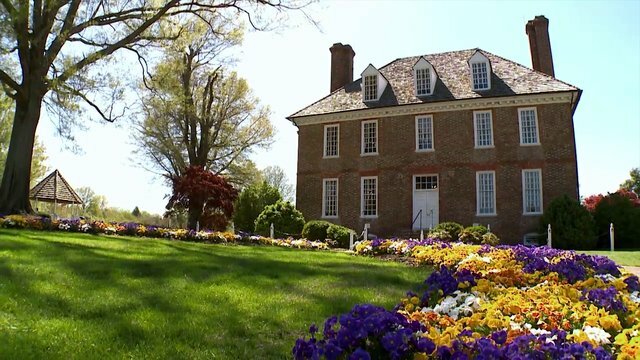 Discover the nation’s history at one of Williamsburg’s history museums, monuments or battlefields, and immerse yourself in the city’s Colonial spirit. The Historic Powhatan Resort features an indoor and outdoor pool, tennis court and playground. Accommodations include a private balcony, loft and hot tub. 800 square feet – 48 Units – Full Kitchen – Max Occupancy: 4. Bedding: One King and One Queen Sleeper Sofa OR Two Twins. Cozy interiors and historic charm define the 800-square-foot, one-bedroom upstairs accommodations, featuring all of the amenities necessary for ultimate relaxation in your home away from home. With a king-size bed, two twin-beds or a queen sleeper sofa in the loft, and a full bath, your peaceful retreat offers a restful hideaway. Sleep in or rise early to enjoy a freshly brewed pot of coffee before setting out to discover the exciting attractions in this family-friendly area. Dine out or enjoy the convenience of your in-suite kitchen with a full size refrigerator, microwave, oven, stove and all the essentials needed for complete meals, light snack prep and food storage. Wrap up another fun-filled day in Williamsburg by gathering to enjoy a favorite movie. 782 square feet – 48 Units – Full Kitchen – Max Occupancy: 4. Bedding: One King and One Queen Sleeper Sofa. The perfect base for creating lasting memories, our 782-square-foot, one-bedroom ground floor accommodations provide all the amenities for a cozy home-away-from-home. With a plush, king-size bed, a queen-size sleeper sofa plus a full bath, your charming retreat offers a welcome respite. Sleep in or rise early to enjoy a freshly brewed pot of coffee before setting out to explore the beauty of this family-friendly area. Dine out or enjoy the convenience of your in-suite kitchen complete with a refrigerator, microwave, oven, stove and all the essentials for making full meals, light snack prep and food storage. Wrap up another fun-filled day in Williamsburg by gathering around the living room to enjoy a family night or a favorite movie. 1,230 square feet – 340 Units – Full Kitchen – Max Occupancy: 6. Bedding: One King, One Queen, and One Queen Sleeper Sofa. Our 1,230-square-foot, two-bedroom accommodations exude relaxation and create the perfect haven amid the thrills and adventure of Williamsburg. Families will enjoy the additional privacy of two separate bedrooms and two full baths. For larger families, the living room features a sleeper sofa. Leave your worries behind and luxuriate in the spacious comfort of your home-away-from-home. Relax with a hot cup of freshly brewed coffee each morning, or have a glass of wine to unwind from the day. Create more memories around the dinner table and gather the family to enjoy your favorite meals from the comfort of a well-appointed kitchen featuring a refrigerator, microwave, oven, stove and a coffee maker. 1,600 square feet – 48 Units – Full Kitchen – Max Occupancy: 8. Bedding: Two Kings, Two Queen Sleeper Sofas, or One Queen Sleeper Sofa and Two Twins. The 1,600-square-foot, two-bedroom lockoff accommodations provide magnificent views of our beautiful landscape. Enjoy two separate upstairs and downstairs one-bedroom units that connect via a shared foyer. With two plush, king-size beds and additional sleeping space, these units will accommodate up to eight people comfortably. Families will enjoy the convenience of two separate units and two full baths. Wake up each morning to enjoy a hot cup of freshly brewed coffee before setting out to explore this fascinating city. Create more memories around the dinner table and gather the family to enjoy your favorite meals from the comfort of the well-appointed kitchen featuring a refrigerator, microwave, oven, stove and a coffee maker. 1,230 square feet – 340 Units – Full Kitchen – Max Occupancy: 6. Bedding: One King, Two Twins, and One Queen Sleeper Sofa. Our 1,230-square-foot, two-bedroom accommodations exude relaxation and create the perfect haven amid the thrills and adventure of Williamsburg. Families will enjoy the additional privacy of two separate bedrooms and two full baths. For larger families, the living room includes a sleeper sofa. Leave your worries behind and be surrounded by the spacious comfort of your home-away-from-home. Relax with a hot cup of freshly brewed coffee each morning, or have a glass of wine to unwind from the day. Create more memories around the dinner table and gather the family to enjoy your favorite meals from the comfort of a well-appointed kitchen featuring a refrigerator, microwave, oven, stove and a coffee maker. 1,230 square feet – 13 Units – Full Kitchen – Max Occupancy: 6. Bedding: One King, Two Twins, and One Queen Sleeper Sofa. Our 1,230-square-foot, two-bedroom deluxe ground floor accommodations boast all the spacious comfort you need to enjoy this ideal retreat. Families will love the additional privacy of two separate bedrooms and two full baths with walk-in showers and whirlpool jet tubs. For larger families, the spacious living room conveniently includes a sleeper sofa. Wake up each morning with a hot cup of freshly brewed coffee, then set out to explore this fascinating city. Create more memories around the dinner table and gather the family to enjoy your favorite meals from the comfort of a well-appointed kitchen featuring a refrigerator, microwave, oven, stove and a coffee maker. 1,230 square feet – 13 Units – Full Kitchen – Max Occupancy: 6. Bedding: One King, One Queen, and One Queen Sleeper Sofa. Our 1,230-square-foot, two-bedroom deluxe upstairs accommodations feature magnificent views of the grounds and the surrounding area. Relax amid the beauty of this historic landmark and enjoy your private balcony or terrace. Families will love the convenience of two separate bedrooms and two full baths. For larger families, the spacious living room conveniently includes a sleeper sofa. Wake up each morning with a hot cup of freshly brewed coffee before setting out to explore this fascinating city. Create more memories around the dinner table and gather the family to enjoy your favorite meals from the comfort of a well-appointed kitchen featuring a refrigerator, microwave, oven, stove and a coffee maker. 1,736 square feet – 43 Units – Full Kitchen – Max Occupancy: 8. Bedding: One King, Two Twins OR One Queen, and One Full Sleeper Sofa. The ultimate in comfort, our 1,736-square-foot, three-bedroom accommodations are the ideal retreat for families and friends looking to create lasting memories. These spacious suites can comfortably accommodate up to eight guests. The master bedroom features one king-size bed and a full bath, while the two guest bedrooms have either one queen- or two twin-size beds. If additional sleeping accommodations are needed, then the sleeper sofa in the living room is the perfect option. Spend all day enjoying everything what this family-friendly destination has to offer, then return to your cozy haven to relax while watching a favorite movie. Gather around the table to recount the memories from the day as you dine together in the comfort of the full kitchen. With well-appointed amenities, the kitchen has all you need to make meal times easy including a refrigerator, microwave, oven, stove and a coffee maker. 2,460 square feet – 340 Units – Full Kitchen – Max Occupancy: 12. Bedding: Two Kings, Two Twins, One Queen, and Two Queen Sleeper Sofas. Ideal for large families, our 2,460-square-foot, four-bedroom lockoff accommodations have all the spacious comfort you need in order to Stay Vacationed.® With space for up to 12 guests, you will enjoy the additional privacy of this four-bedroom suite. Each four-bedroom has two king beds and two twins (downstairs) and one queen (upstairs) along with two queen sleeper sofas. Enjoy theme park adventure, historic sites and shopping all day, then return to your cozy haven to relax on the private balcony, patio or terrace overlooking the beautiful resort grounds. Dine together in the comfort of your full kitchen with everything that is needed to make meal times easy including a refrigerator, microwave, oven, stove and a coffee maker. 2,460 square feet – 13 Units – Full Kitchen – Max Occupancy: 12. Bedding: Two Kings, Two Twins, One Queen, and Two Queen Sleeper Sofas. Ample space and comfortable interiors welcome large groups and big families to relax in 2,460-square-foot, four-bedroom deluxe accommodations. With room for up to 12 guests, each unit has two king beds and two twins (downstairs), and one queen (upstairs) along with two queen sleeper sofas. Enjoy theme park adventure, historic sites and shopping by day, then return to your cozy haven to relax on the private balcony, patio or terrace overlooking the beautiful resort grounds. Dine together in the comfort of your full kitchen with everything needed to make meal times easy including a refrigerator, microwave, oven, stove and a coffee maker. Directions to Resort: Directions from West (Richmond): Exit I-64 at exit 234 (199E). Follow Route 199 east for approximately 8.5 miles to the first traffic light. Turn right on to John Tyler Highway (Route 5). Continue for 1.85 miles to the second traffic light. Turn right on Route 615 (Ironbound Road). The Historic Powhatan Resort is located approximately .8 miles ahead on the left. Colonial plantations, historical landmarks and interpretive sites provide a glimpse into the birth of a nation. Here you have an invitation to explore the past through the ancestral homes of the indigenous American Indian tribes and discover the significant colonisation of the first English settlements of the "New World." Stunning scenery greets every season with kaleidoscopic hues. The historic triange offers entertaining and informative attractions that will appeal to all ages. Details: Indoor Pool: Daily 8 am - 10 pm. Outdoor Pools: Open for swimming and sunning seasonally, weather permitting. In the case of thunder, both indoor and outdoor pools close for a half hour after the thunder passes. Guests ages 14 and up may enjoy the fitness center. Housekeeping Service: Additional daily housekeeping services available for a nominal fee. Please schedule with housekeeping department. The Powhatan Bar and Grille is open seasonally 7 days a week serving breakfast and dinner. The opening hours are as follows: Daily 8:00 am - 11:00 am for breakfast, 5:00 pm - 9:00 pm for dinner. All day Friday-Sunday 8:00 am - 9:00 pm. The pool side cabana is closed for the season. Historic Grounds coffee house is open daily from 7:00 am - 2:00 pm. Owners must notify front desk reception if alternate guest will occupy their accommodation. - Hotel Guests and Exchange Reservation: A photo identification, credit card for $100 security deposit and a nightly $19.95 plus tax resort fee will be required (cash is not an acceptable form of deposit). - Resort Fee includes business center, indoor pool, racquet ball, tennis and boarding pass printing. - Owner Weeks and Member Points Booking: Photo identification and a form of payment will need to be provided at check-in. Resort fees* will be waived when staying on your owner week or member point reservations. A resort fee of $19.95 plus tax per night will be added to the reservation if the owner or member of THE Club® is checking in on a rental reservation. - Guests will be required to provide vehicle information (including license plate information) at check in. Please have this information ready so the Front Desk agent may efficiently assist you. Highlights: The Manor House is listed on the national and state registries of historic properties (circa 1735).